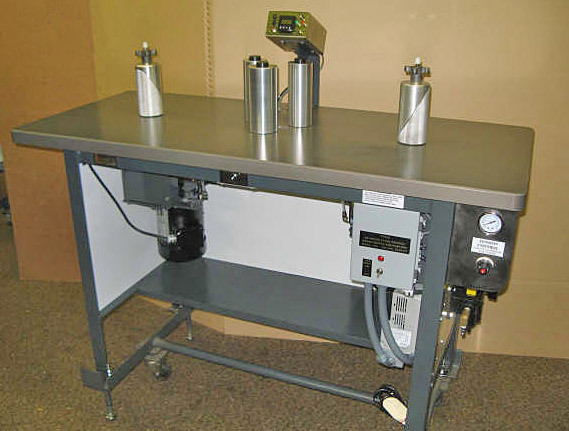 This rewinder has two 1 HP control matched motors to enable the operator to move the web from left or right while counting the labels on the roll. The option allows the operator to go halfway into a roll and take out a splice and return the roll to its original position with the labels oriented correctly. The PowerFlex40 from Allen-Bradley is the adjustable drive that is used. Each rewind shaft will spin clockwise or counter clockwise. Web tension is controlled by air clutches on both sides of the machine. Core sizes are available from 1 inch to 6 inch diameter.